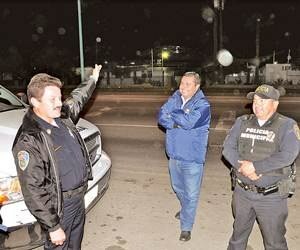 A streaking object in the night sky led to panic in the Mexican region of Mexicali. Police were mobilized yet unable to apprehend the Unidentified Flying Object flashing with blue and white lights whizzing through the evening air. Martin Ruelas, supervisor of the DSPM’s western region, saw it and stated that it was a sizeable round white object with visible blue and yellow flashes. He added that the object was seen high in the sky and moved up, down and sideways at very high speeds, vanishing from sight after heading south from the valley of Mexicali. Officers tried to chase the object but were stymied by the nimble changes in direction. After giving up on trying to follow it, they eventually relied on reporting to each other via radio when it was headed toward stationary pairings of officers. The article does not mention if shots were fired.